You are currently browsing the Suburban Homesteading – Frugal Living blog archives for January, 2011. Here’s a riddle for you: What flourishes without light, doesn’t use flowers or seeds to grow and is so diverse it can even be grown in your hall closet? Mushrooms are unique because they are not plants at all – they are fungi. They reproduce with spores not seeds and they don’t contain any chlorophyll or go through photosynthesis like regular plants. That’s why they can grow in cool, damp, dark places instead of warm, sunny ones. The nutrients mushrooms need to grow come from a growing medium called substrate—usually a rotting log or a “brick” of straw, rice bran or sawdust in bags. A mushroom is really the fruit of the fungus; the actual “plant” if you will, is a network of root-like threads, called the mycelium. Mushrooms reach harvestable size in several weeks and can be picked for about 15 weeks. To begin growing your own, first decide what type of mushroom you’d like to grow, as each variety likes a certain type of growing medium. It may be a good idea to start with an easy growing variety that can be found in a kit, like the shiitake or oyster, for first-timers. Kits will come complete with the right kind of substrate for the mushroom variety, mushroom spores and growing instructions. If you decide to grow mushrooms without the aid of a kit you’ll need to do a bit more research. First, find the right kind of growing medium for the variety you want to grow-each mushroom variety has its own preferred growing conditions. While most favor logs, straw or sawdust, some will grow on used coffee grounds and even on corncobs. The medium will then need to be sterilized with heat, tightly compacted in a bag or on a tray and then inoculated with the spawn. A word of caution here: resist the temptation to use free spawn from wild mushrooms; purchase good healthy spawn from a reliable supplier. Be sure to check out the growing habits of the variety you decide to grow so you know how and where to place your growing container. 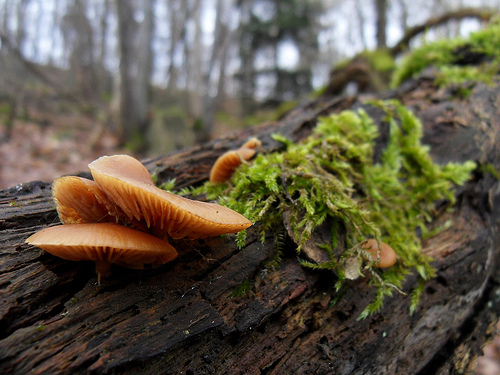 Some mushrooms grow vertically, as they would on a rotting log, and hanging them would be an ideal solution. Others grow horizontally in little clusters as they would on the floor of a dark, clammy forest. These can be grown in a tray placed in a dark closet. Once your mini mushroom farm is set up all you have to do is water it, set it in a dark place and keep an eye on the conditions. In about a week you’ll see the beginnings of tiny little mushrooms. Depending on the variety you should have “ready to harvest” mushrooms in another 4 to 8 weeks. Before you know it you’ll have your very own ethereal fairy-garden of perky little mushrooms. To learn more about growing mushrooms, check out www.fungi.com and www.gmushrooms.com. The Mushroom Company at www.mushroomcompany.com is a commercial grower site, but has lots of useful information. To read more about growing mushrooms, check out “Growing Gourmet & Medicinal Mushrooms”, by Paul Stamets. 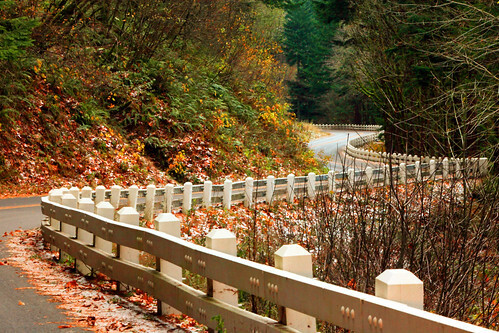 This beginning of a New Year is like a bend in a winding mountain road. It fades in my rearview as we move farther and farther from its starting point. I’ve been reflecting lately on all that can be accomplished on a small suburban homestead such as ours and feeling rather – well – contented and secure. On just a third of an acre we are able to raise lambs and chickens to put meat in our freezer and eggs for breakfast and baking. An extra lamb we butchered is being parceled out to friends and neighbors who don’t want a whole or half lamb. And, at $9 to $15 per pound for organic lamb, I think this may turn out to be a very good thing. The broilers we raised from day old chicks were butchered last week. Our original plan was to butcher before Christmas, but the bad weather and family obligations forced us to push back a few weeks. With the extra time on feed most of the birds were in the 7 to 8 pound range, with a few pushing over 9 pounds. At those weights the birds are too big for a family of two, so most were cut in half and a few quartered, giving us enough chicken for about 30 weeks, assuming we eat chicken once a week. Not bad, folks! Not bad at all! The hens are laying 5 to 7 eggs a day now, not quite at full stride yet, but, that’s 3-1/2 dozen a week, enough to keep us in omelets with a few dozen left over to sell to cover feed costs. Our berries and fruit trees are coming into their own and give us plenty of fresh seasonal fruit for eating and a little extra for freezing or canning or cooking; the garden gives us plenty of greens and root vegetables; tomatoes and cucumbers; squash and pumpkins, even with the occasional crop failure. Thanks to some great sales in November and December our pantry is brimming with staple goods. And, the added savings from coupons meant most were “free” or nearly “free”. It’s so nice to be able to just walk over, open a cupboard and pull out what you need for an evening meal. No treks to the store after dark. No drives during inclement weather. We picked up another load of firewood from the grandparents’ place, our second of the winter. With the colder temperatures we are burning more wood than in years past and it’s a blessing to have such a ready source. Loading split wood on a cool afternoon makes for a robust workout. I love it. Many kinds of stone fruit have flesh that clings to the pit, making for a disappointing looking fruit when the pit is removed. 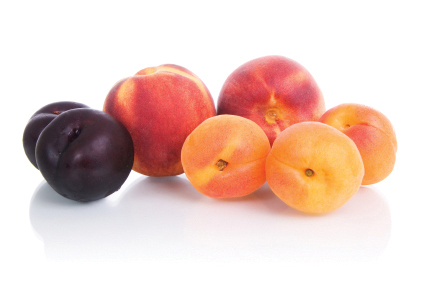 To pit small stone fruits like plums or peaches, cut the fruit in half lengthwise. Then use a melon baller to scoop out the pit. You’ll have perfect looking fruit for all sorts of summer recipes in no time at all. Over the last three years more than one in three honey bee colonies has died nationwide, posing a serious risk to our natural food supply. One cause for the losses is a phenomenon called Colony Collapse Disorder, or “CCD.” When a hive experiences CCD, honey bees mysteriously abandon their hive and die. Researchers don’t know exactly what causes CCD, but believe some contributing factors may be viruses, mites, chemical exposure and poor nutrition. Why is this a crisis? 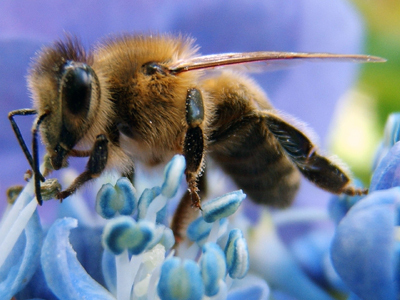 Because, honey bees are responsible for pollinating one-third of our country’s natural foods. Think about it…one out of every three bites of food an average American eats has been pollinated by a honey bee. These industrious workers are responsible for pollinating more than 100 different varieties of fruits, vegetables, nuts and seeds, and they provide 80 percent of the country’s pollination services. The honey bee is responsible for $15 billion in U.S. agricultural crops each year because they fly up to 15 miles per hour and visit about 50 to 100 flowers on each pollination trip. It takes 2 million flower visits, covering 55,000 miles to make one pound of honey. When a honey bee returns to the hive after finding a good pollen source, it gives out samples of the flower’s nectar to its hive mates and performs a dance that details the distance, direction, quality and quantity of the food supply. The richer the food source, the longer and more vigorous the dance. Sodium Nitrite – What Is It? 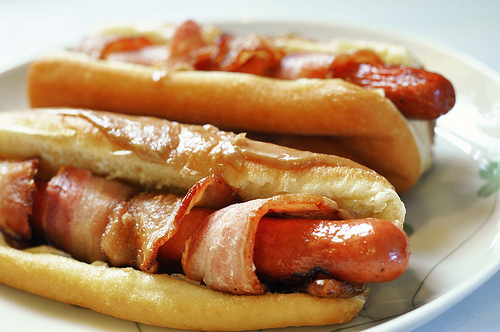 Since the 1960s sodium nitrite has been used as a preservative in smoked meats, hot dogs, bacon, ham and sausages. Many think you should proceed with caution with foods containing sodium nitrite, but What Is It? Sodium nitrite, a cousin to sodium nitrate, is a preservative that gives cured meats their distinctive flavor and reddish color. 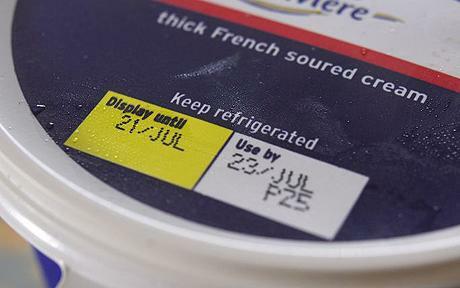 It also helps prevent the bacteria that causes botulism, but consumer beware. When sodium nitrite is combined with high heat it can produce a cancer-causing compound. Some researchers claim to have found a way to prevent the compound from forming, but not everyone finds truth in the claim. What is true is that sodium nitrite tends to be used in the processing of meat products that have limited nutritional value. Oh, you can go ahead and have that hot dog or crispy bacon, but why not make it organic, better yet make it homemade and home cured. That why you know exactly what you’re eating. 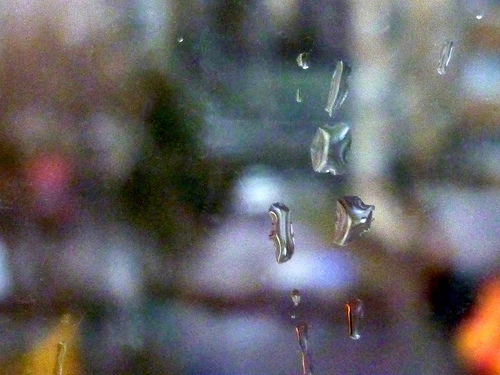 We woke up this morning to the sound of pounding rain. In my previous life (before my world revolved around gardens and livestock and feeding) waking up to rain was one of my favorite things—contemplative and simple. Today however, it means sloshing in a downpour to take care of damp and hungry animals. But, we have developed a blueprint for mornings such as these. First, we bundle ourselves in layers of warm clothes, then cover it all with a barn coat and mud boots, ready to face any angry morning. We greet the dogs cheerfully, taking a few minutes to rub bellies and kiss wet noses before we make the mad dash out to the barn. The dogs watch patiently from the doorway. Cowards! The weekend was delicious. A home cooked breakfast of farm fresh eggs, laid by our feisty pack of hens; handmade Breakfast Sausage we learned to make from our friendly butcher Kent; and warm buttermilk biscuits smothered with butter and homemade blueberry jam or topped with local honey. It makes venturing out into any angry winter morning easier when there’s a hot breakfast waiting when you return. It hits me once in a while that so many of our meals come from our backyard. We spent the weekend devouring farm eggs for breakfast, soup made from our own chickens for lunch and a hearty lamb tagine for dinner. In a few months there will be greens and peas from the garden for salads and early berries for cobbler or popovers. Savoring every bite makes all the sweat and blisters and achy muscles worth it. Really!